In this review we show that Trade Bitcoin is a basic scam that is made to lose your money. The Trade Bitcoin App is an automated software for trading with cryptocurrencies. It can generate signals and execute trades for example on Bitcoin, Dash, Ethereum, Litecoin or Ripple. The website of Trade Bitcoin says that the robot is easy to use and profitable. Really? The truth is that Trade Bitcoin is a scam. We can say it because it uses a software that was made for scamming people. 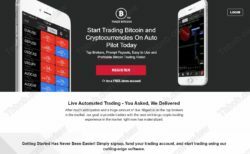 This same trading software is used by dozens of binary options and crypto scams. 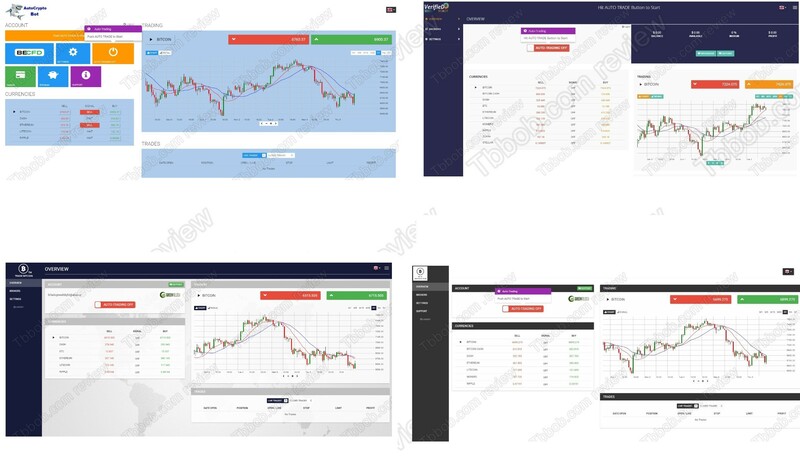 Look at our picture to see some examples, like Verified Robot, Bit Invested and Auto Crypto Bot – they all are based on the same app. 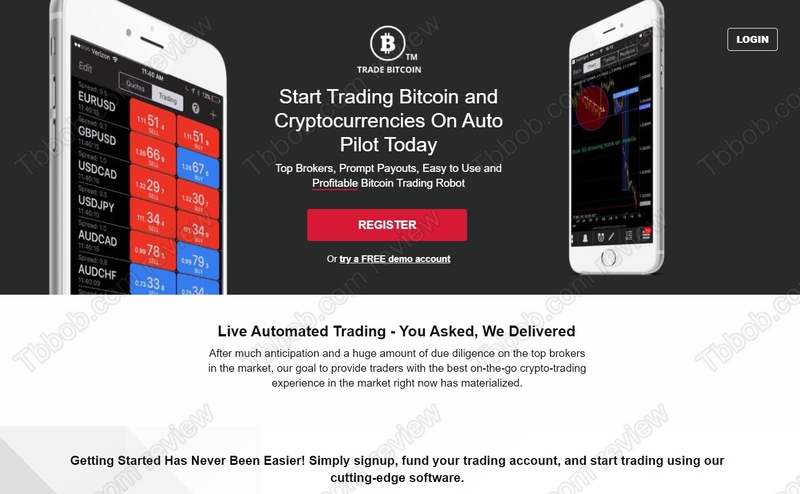 Trade Bitcoin is offering a free demo, but beware, because the demo of this software is faking trading results, it generates profits that would not happen in real trading, it is very misleading! We get tons of feedback about this trading app from real users, so we know for sure that it is losing money in real trading! The only true purpose of Trade Bitcoin App is to make you deposit money with a scam broker – GreenFields Capital. It’s because people who run this robot get paid by this broker for referring new depositors. That’s how it works. This is also the reason why you will have no choice but to use the robot only with this specific broker. GreenFields Capital is a very dangerous broker, we hear a lot of complaints about it, it refuses withdrawals. Trade Bitcoin is a scam app made to steal your money with a scam broker. Stay away from it! If you want to make money in crypto trading, start on a free demo with a regulated broker and test and learn. You can start trading with real money only when you understand all the risks and have a sound strategy.